What to bring with you to an eye examination? 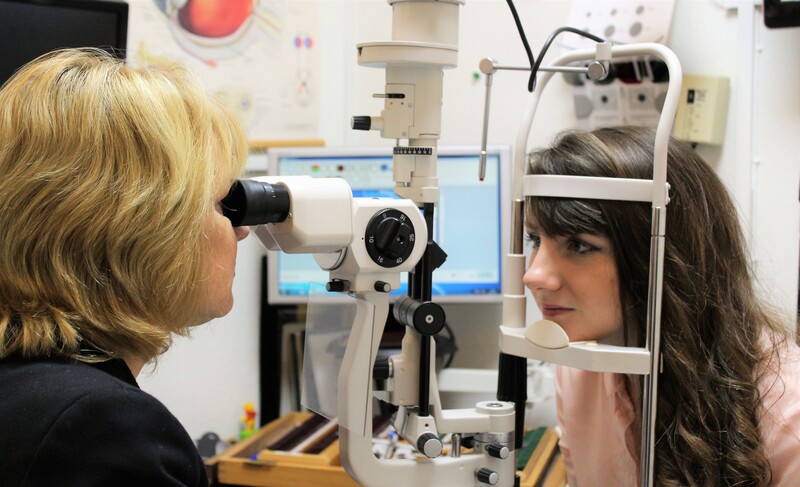 The eye examination is not just a simple test of your sight.Sight is one of our most important senses and our priority is to ensure that we identify and listen to your concerns and provide you with a solution which works for you. Children’s vision develops rapidly from birth and it is often not easy to know if young children’s eyes see equally well and work together. For this reason, a specially tailored eye examination is recommended for all children from age 3 – 16. Older children and adults should have an eye examination every 2 years but this can be more frequent for people over 70 or with medical conditions such as diabetes, cataract, glaucoma or rapidly changing eyesight. Some people complain of eyestrain connected with reading or using a computer despite having normal vision. Common complaints are that print appears to ‘move’ or that the ‘words are too close together’ or the ‘page background seems too bright’. These are frustrating issues for people who want to be able to read more comfortably and for parents of children who do not seem to be progressing with or enjoying reading. This type of reading difficulty is often but not always associated with dyslexia. It has been called ‘Visual Stress’ and ‘Meares-Irlen Syndrome’ and there is a great deal of information about these conditions on the internet. Treating Visual Stress – In many individuals experiencing visual stress symptoms, changing the colour of the text background can significantly reduce the problems. The first step is to conduct a full eye examination (free annually under the NHS for students under age 19) to correct any focusing errors and to ensure the eyes are working comfortably together. Spectacles alone can sometimes solve the problems. Where required the next step is to arrange a “Coloured Overlay Assessment’. This is a 30 minute appointment during which we assess the affect of changing the background colour of a simple text sample and conduct a simple, specially designed reading assessment which can highlight the benefit of colour. Many adults and children have benefited greatly by using colour to enhance their reading enjoyment and reduce the stress and tiredness associated with reading. Please ask any member of staff about the simple steps involved to investigate this problem.